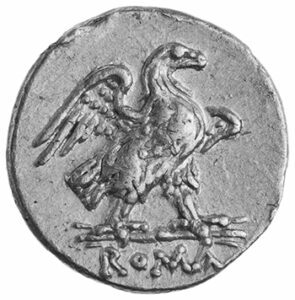 The Later Republican Cistophori treats the cistophoric coinage bearing the names of Roman magistrates, most commonly proconsuls, struck in 58–48 BC, as well as other issues which depart from the traditional paradigm. The cistophori were originally introduced as the currency of the Hellenistic Attalid kingdom by the mid-second century BC. They were retained as the coins of the realm even after the kingdom was bequeathed to Rome in 133 BC and continued to be struck down into the first century BC. The Later Republican Cistophori catalogues and illustrates some 523 cistophori and fractions from the mints of Ephesus, Pergamum, Tralles, and Apameia, as well as the ATPA series and related issues. A detailed commentary discusses the Roman magistrates and the Greek signers of their coinages as well as well as the metrology and fineness of the cistophori. William E. Metcalf received his PhD from the University of Michigan (1973) and almost immediately joined the staff of the American Numismatic Society. He remained there for 27 years as curator of Roman and Byzantine coins, and from 1979–2000 as Chief Curator. In 2002 he joined Yale University as Professor Adjunct of Classics and Curator (later Ben Lee Damsky Curator) of Coins and Medals, and retired in 2014. In addition to Yale he has taught at Columbia, Princeton, New York, and Rutgers Universities, Bryn Mawr College, and the Università degli Studi, Padova. He has lectured widely and is the author or editor of nine books and over 100 articles and reviews. This Festschrift honors Richard “Rick” B. Witschonke, and will be available for shipping in September 2015. This volume is limited to 150 hand-numbered copies, and will not be reprinted. It contains 20 articles of new scholarship on the ancient coinage of the Roman world and greater italic peninsula and islands. RBW’s volume is 520 pages with illustrations throughout, bound in Roman imperial purple linen, and stamped in gold with the image of an as depicting an eagle above the word “ROMA”. LIMIT ONE COPY PER PERSON, ORGANIZATION, OR BUSINESS. AVAILABLE ONLY THROUGH THE ANS. To Order: Email orders@numismatics.org or call 212.571.4470. Andrew R. Meadows. Four Cistophoric Hoards? please contact Catherine DiTuri at cdituri@numismatics.org, or 212-571-4470, ext. 117.